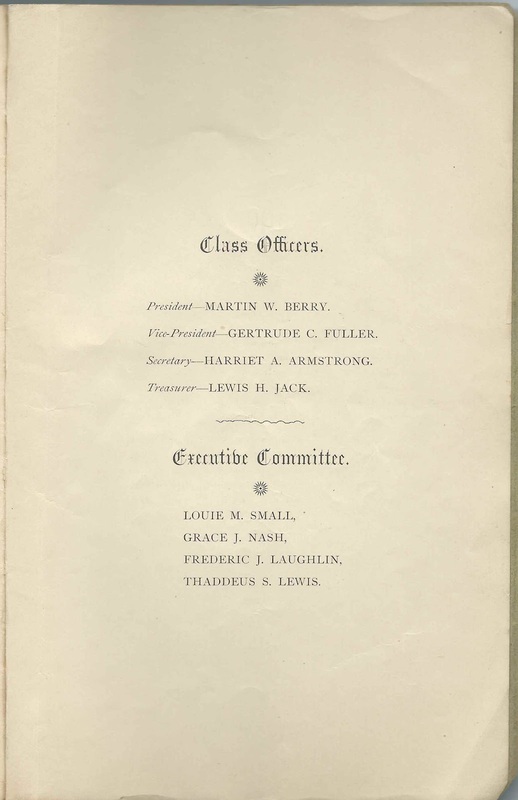 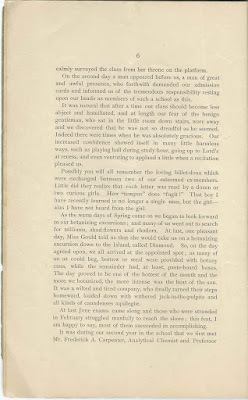 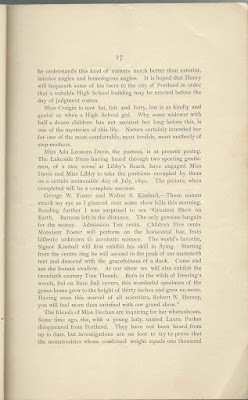 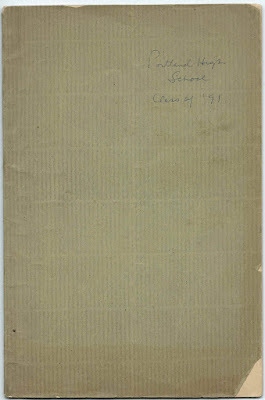 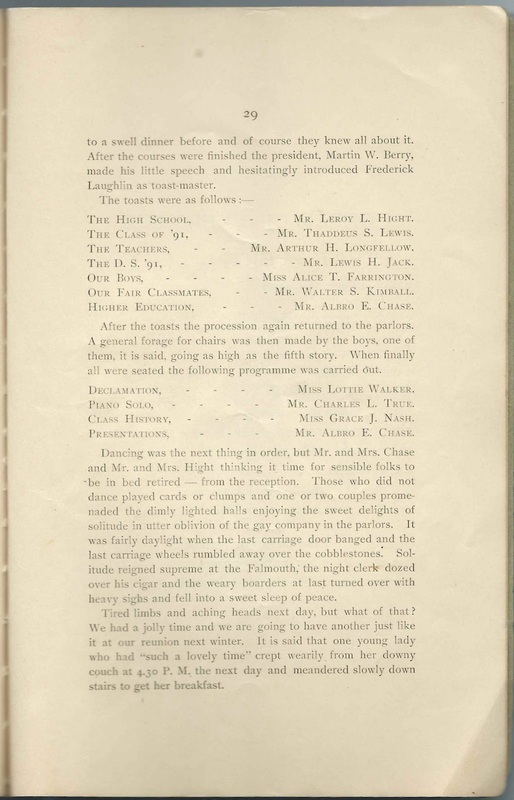 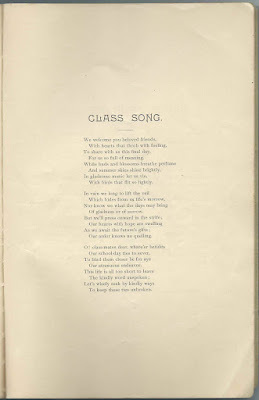 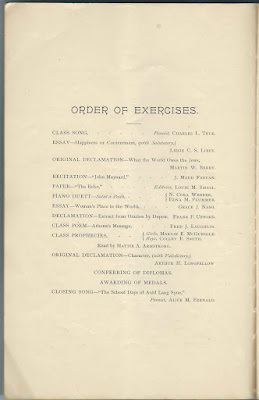 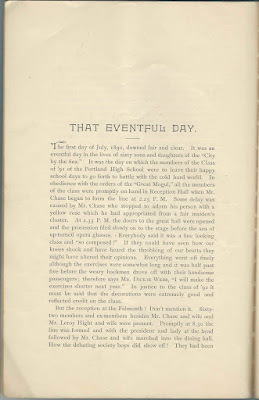 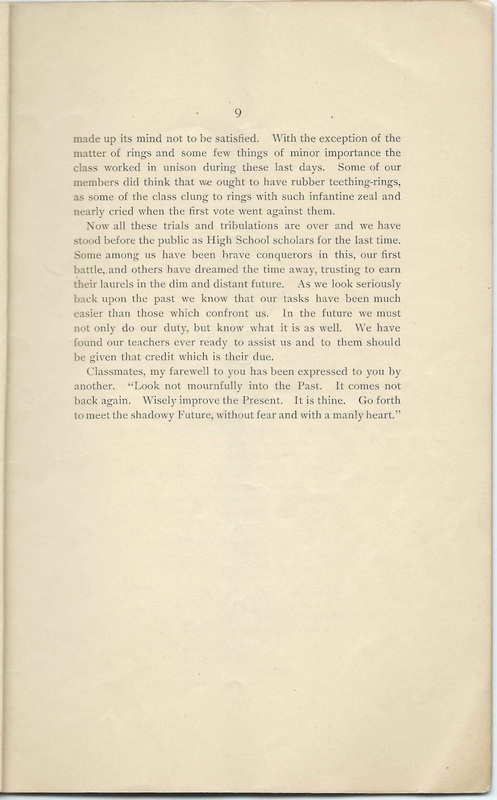 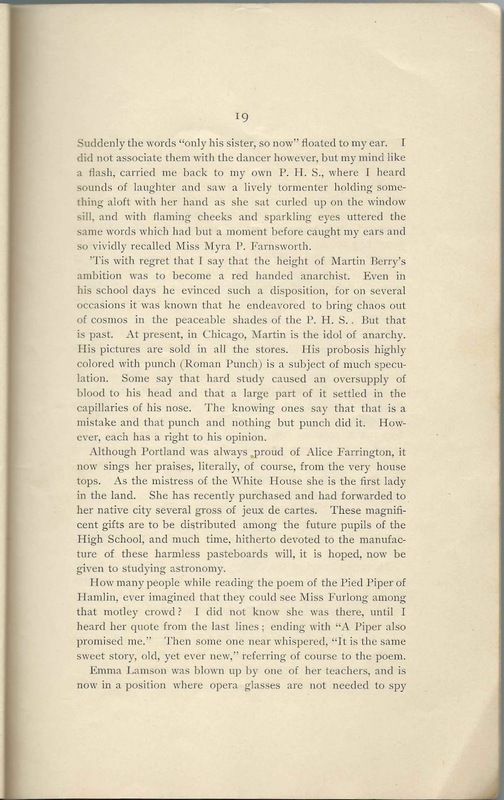 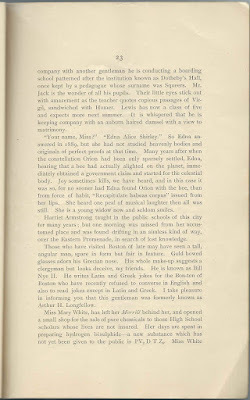 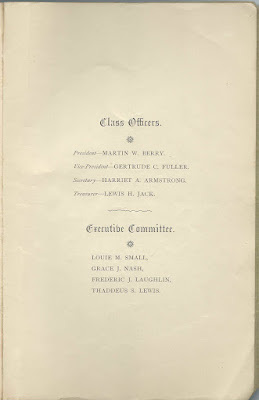 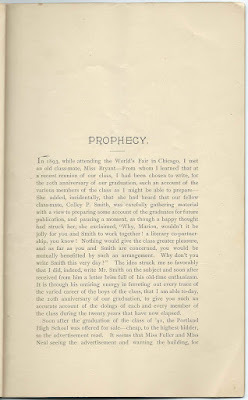 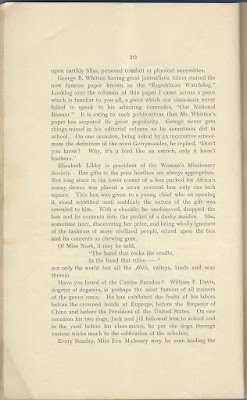 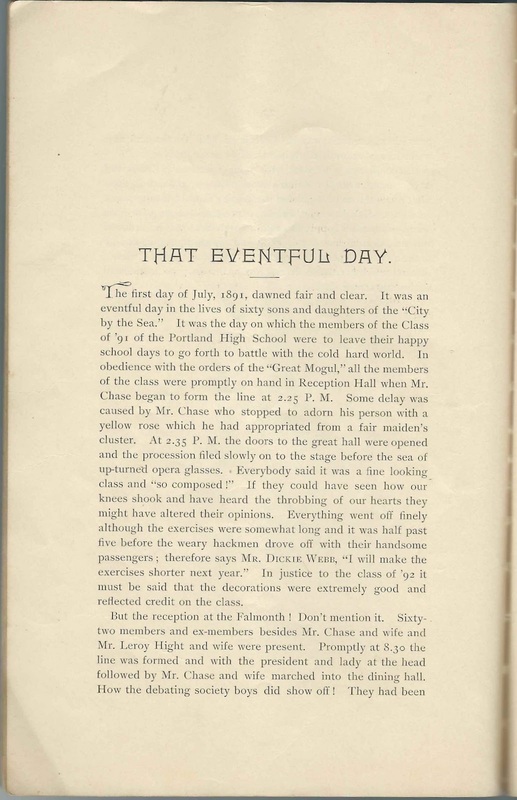 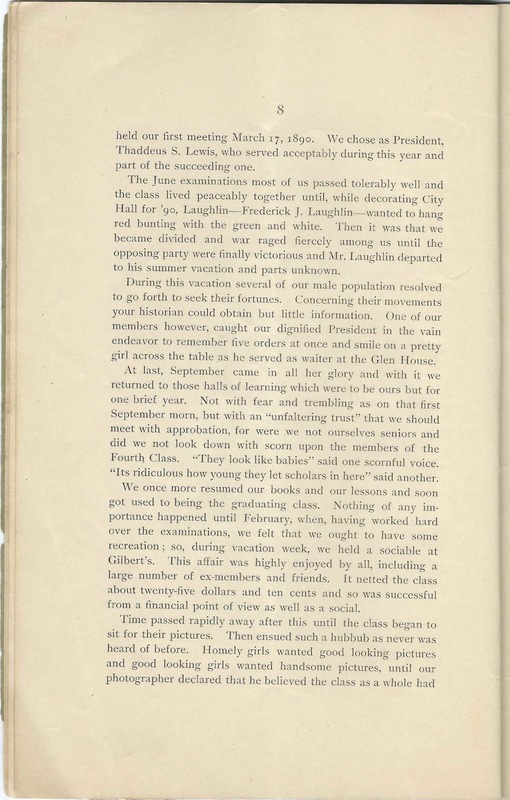 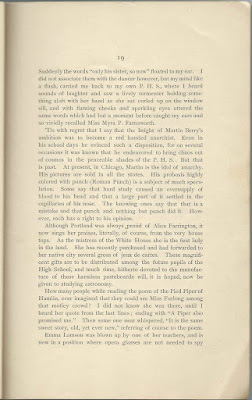 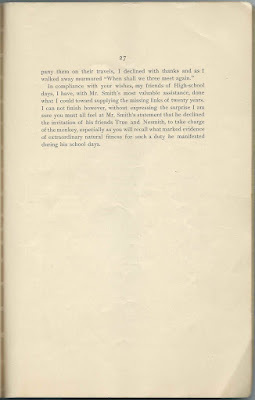 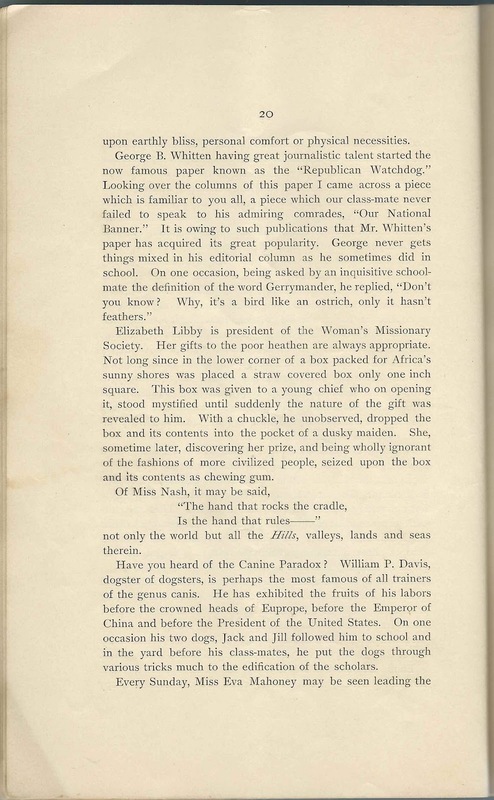 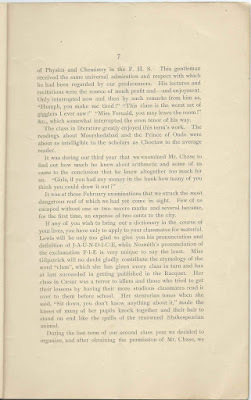 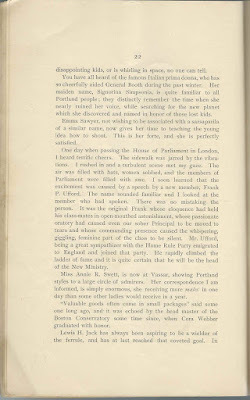 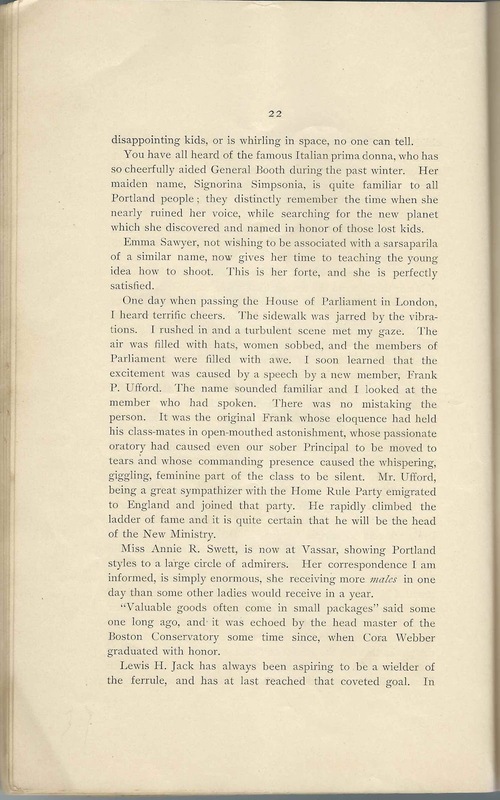 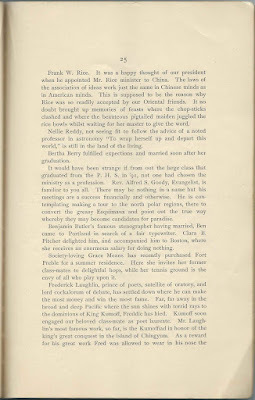 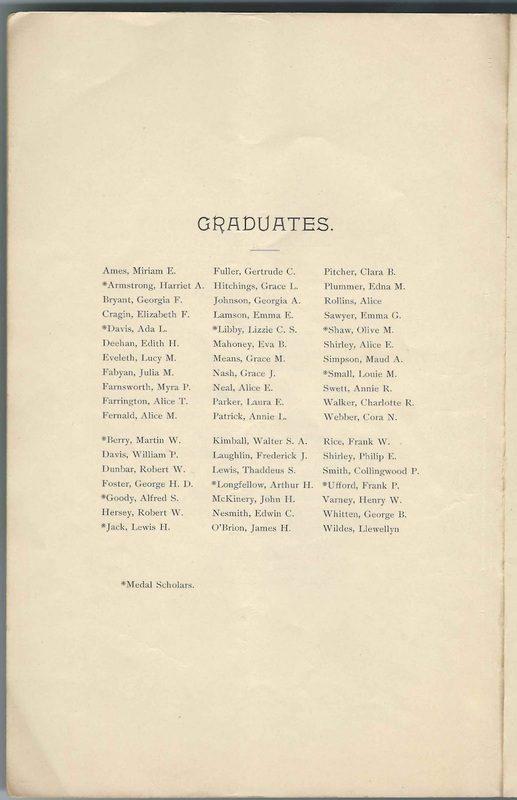 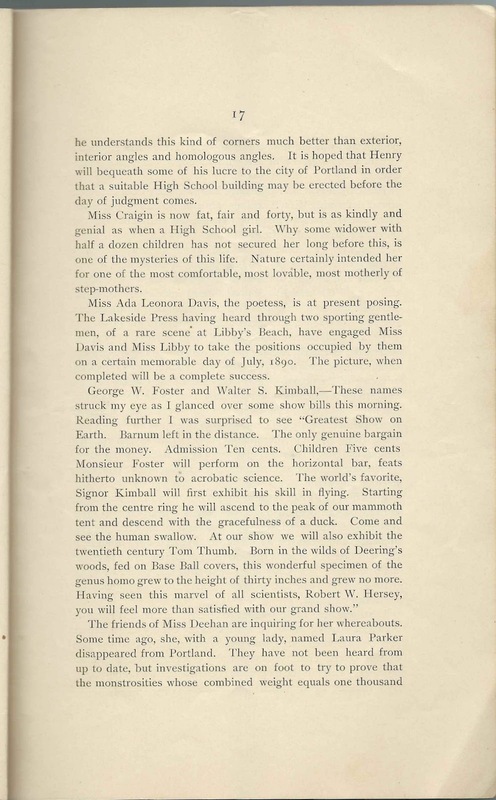 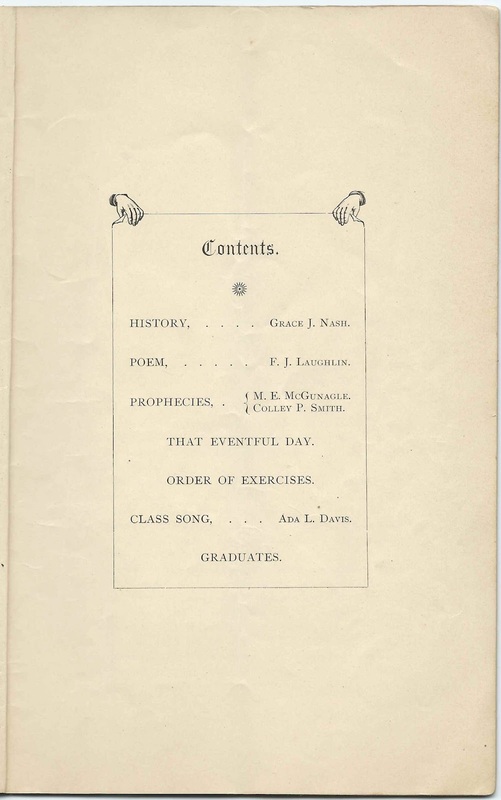 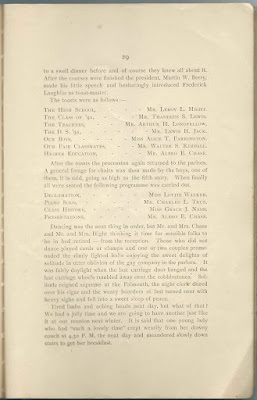 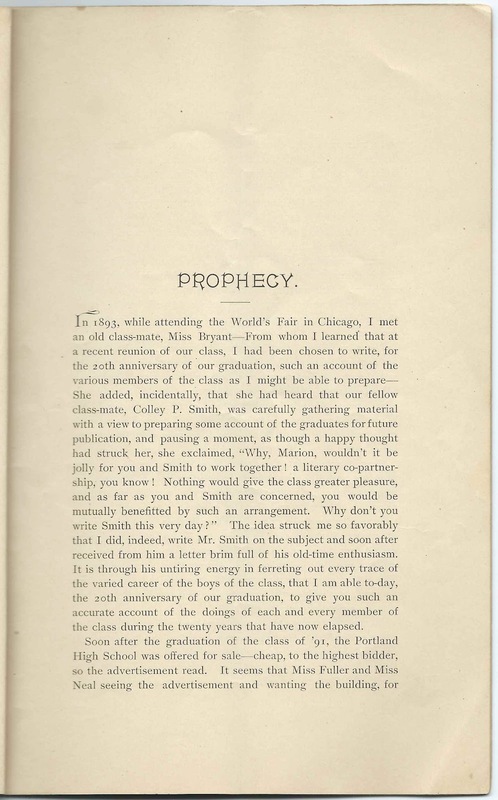 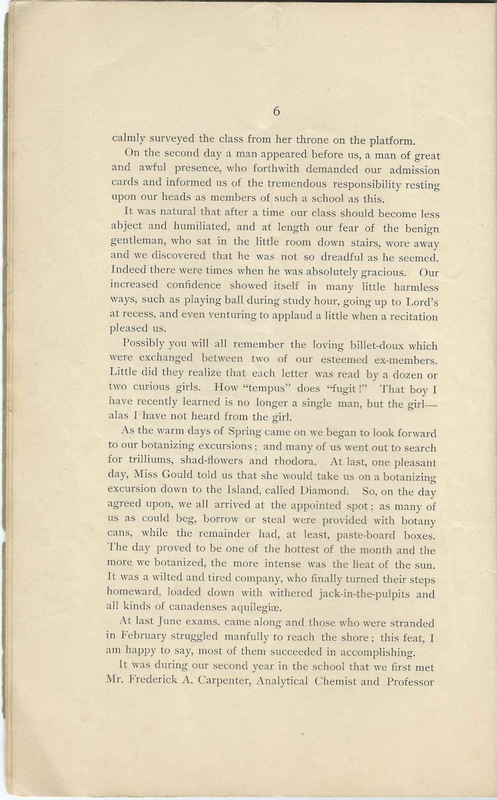 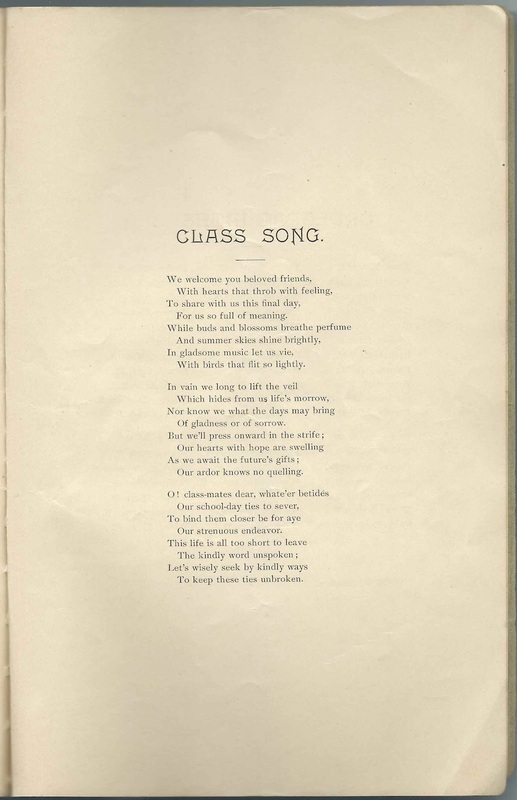 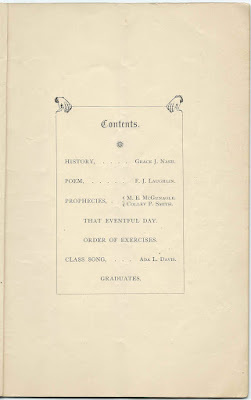 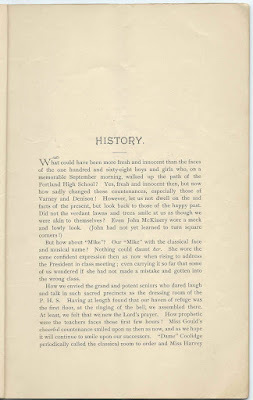 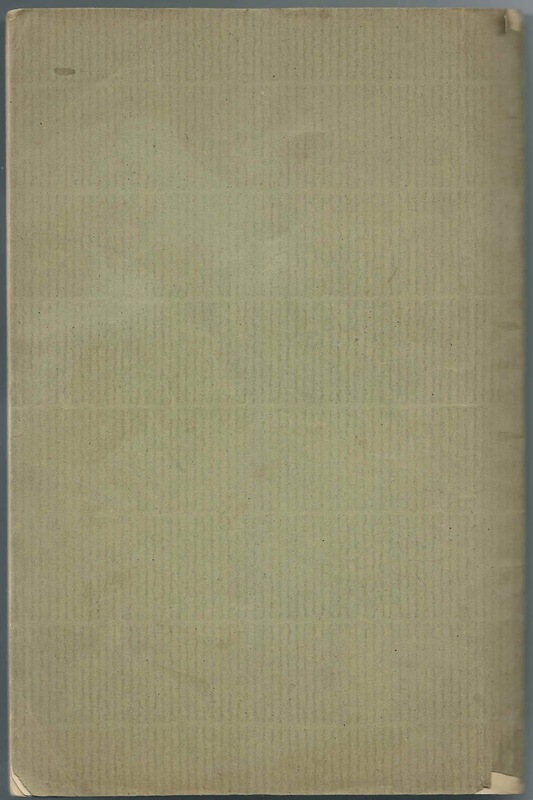 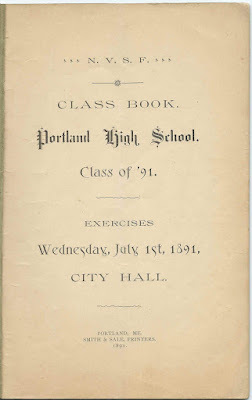 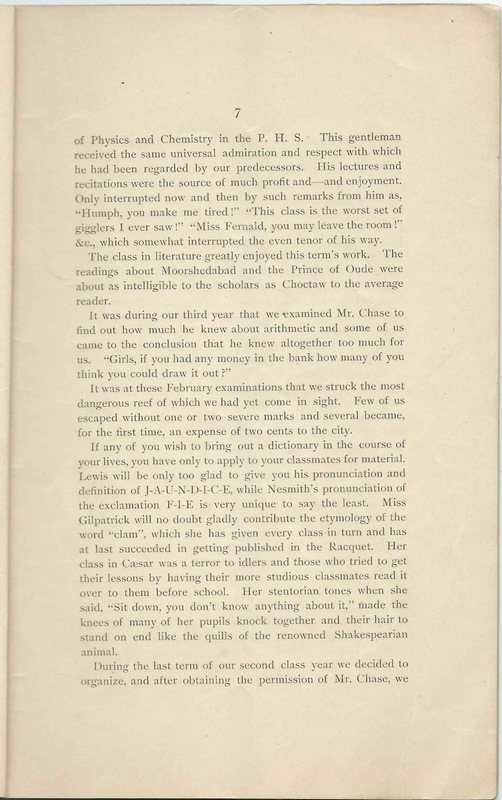 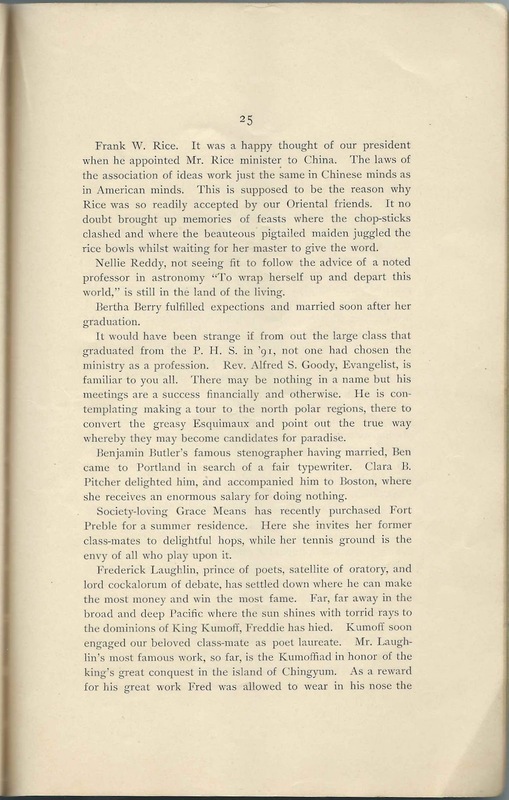 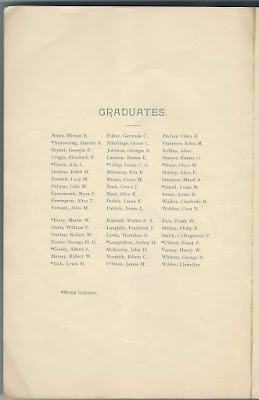 33+ page booklet published on the occasion of the graduation of the Class of 1891 at Portland High School at Portland, Maine. 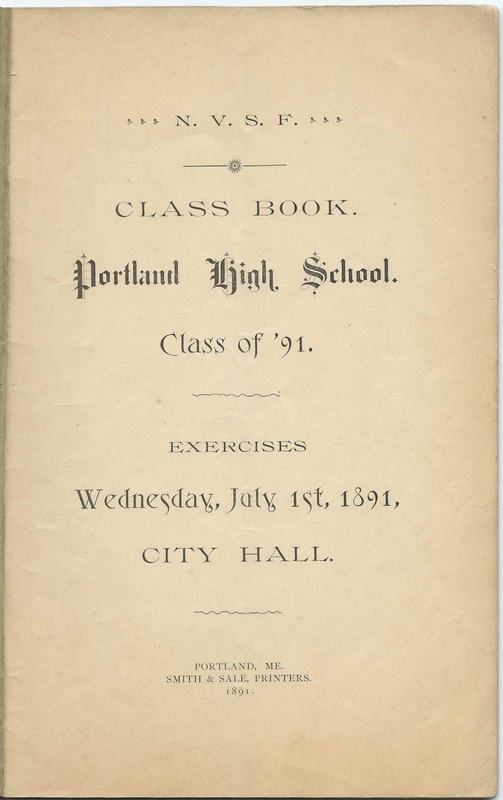 Graduation exercises were held at City Hall on Wednesday, July 1, 1891. 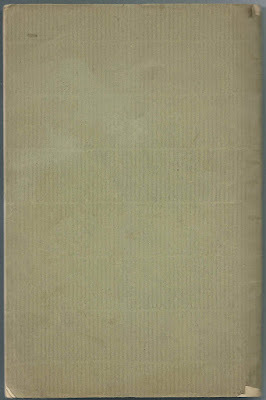 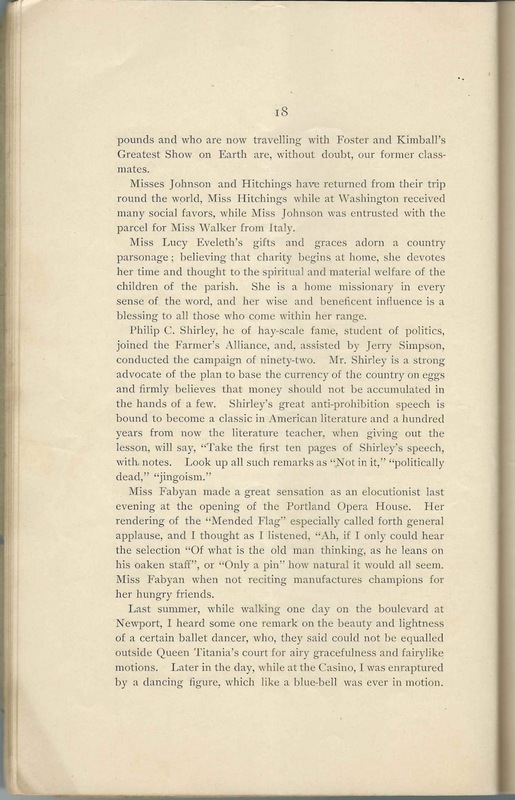 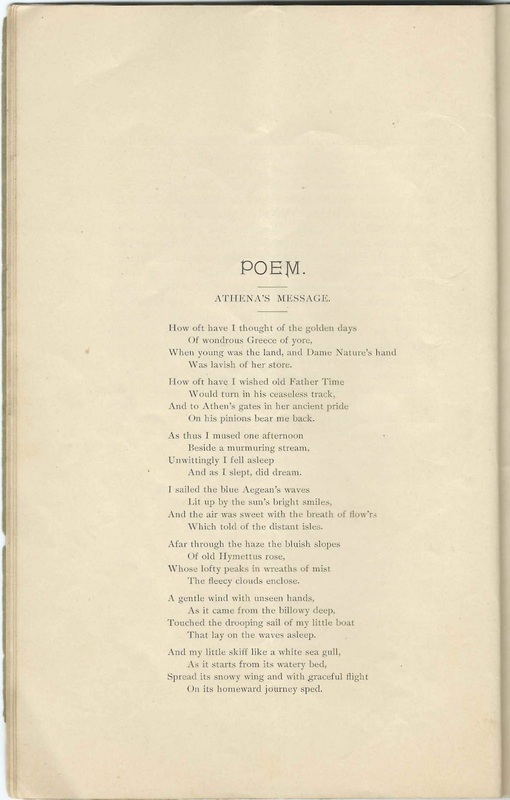 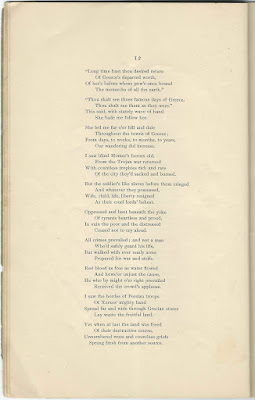 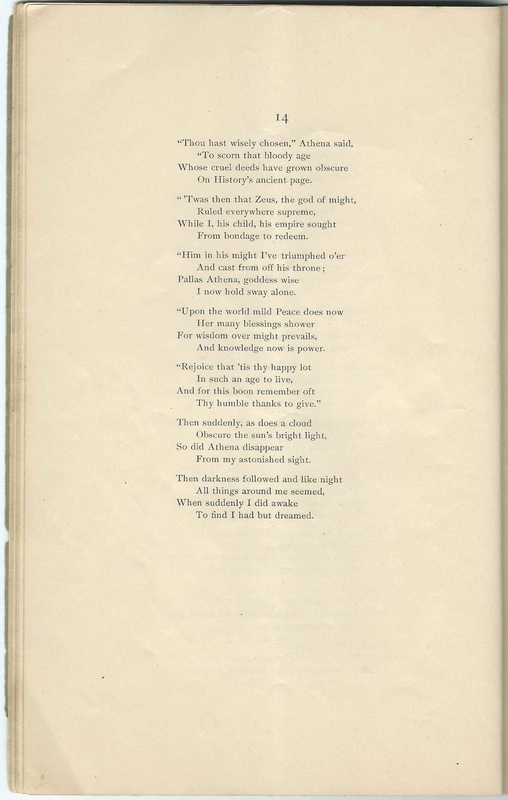 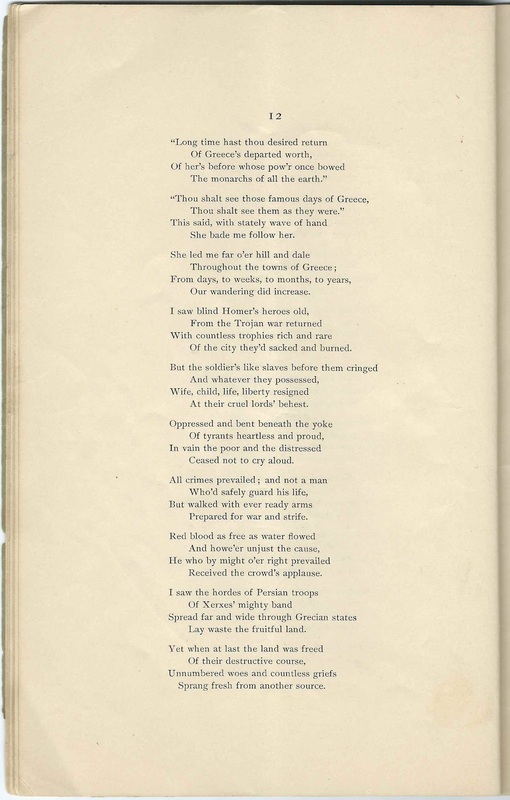 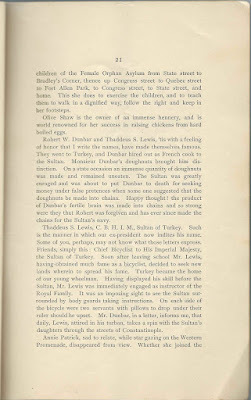 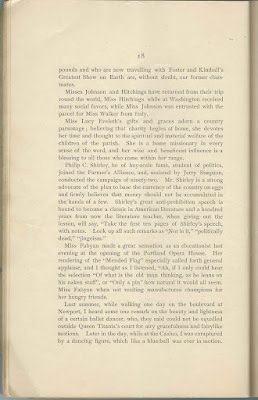 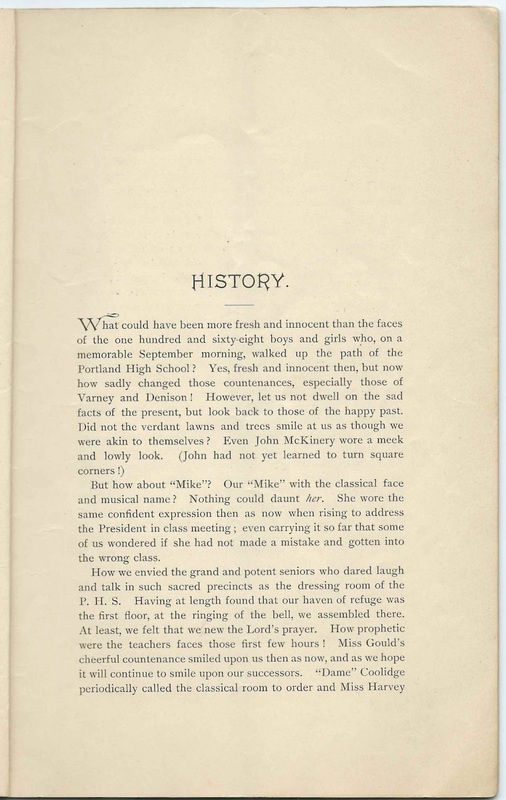 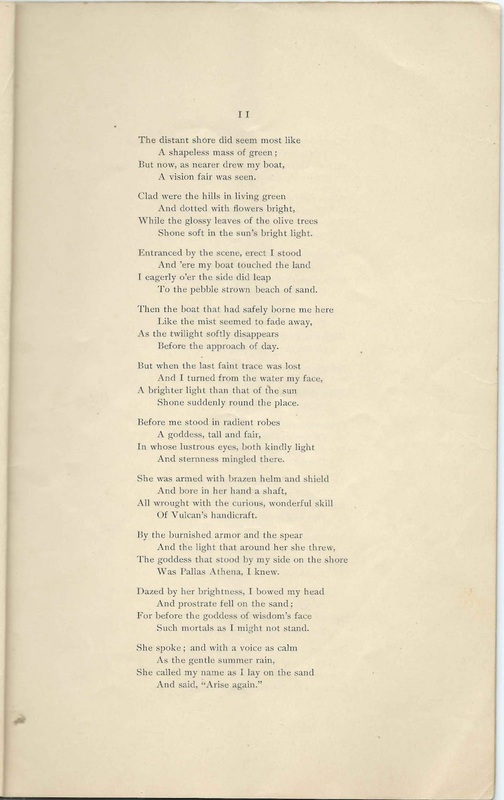 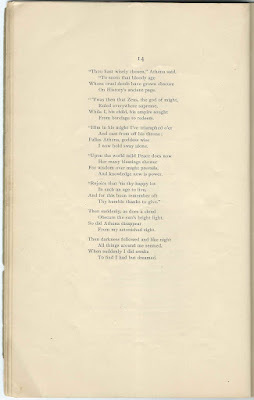 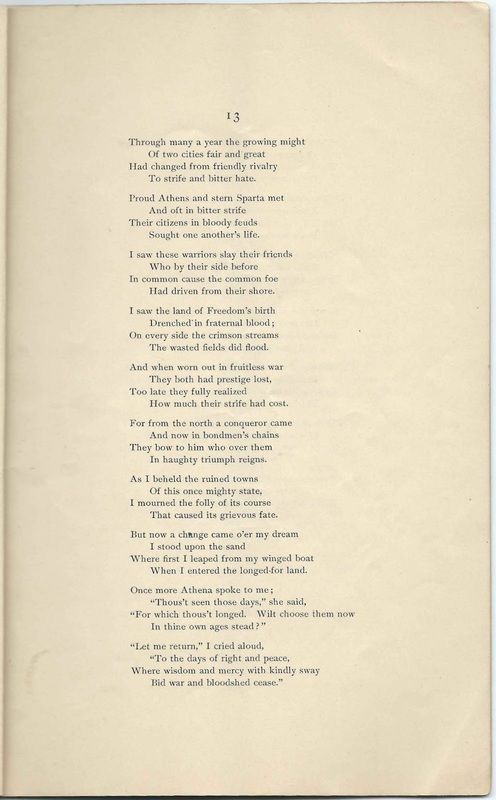 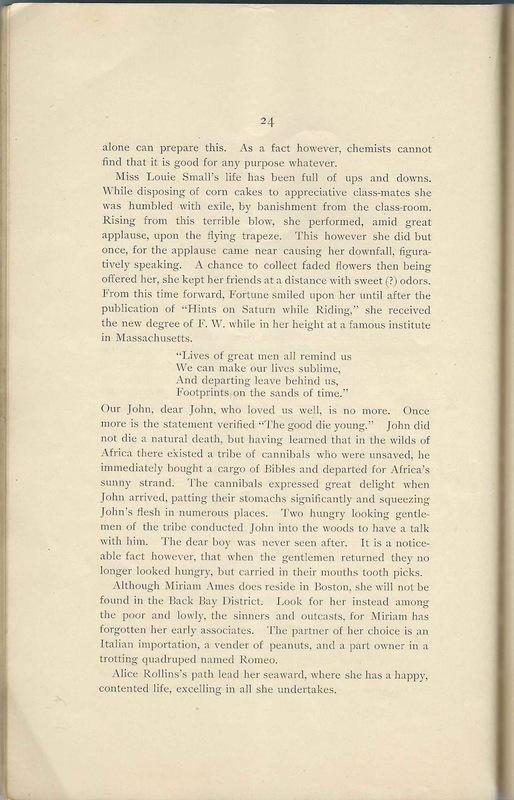 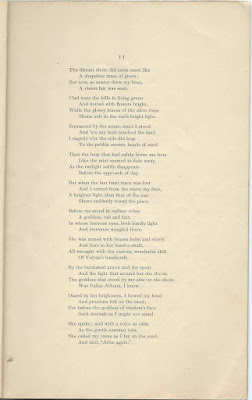 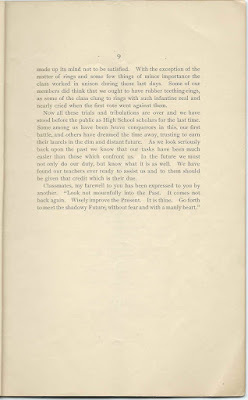 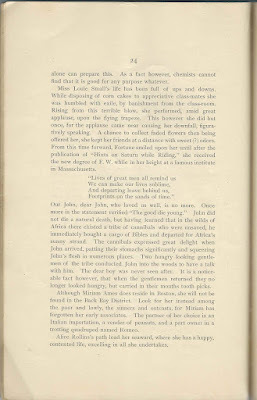 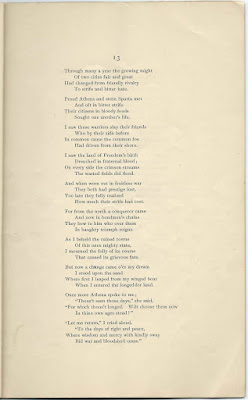 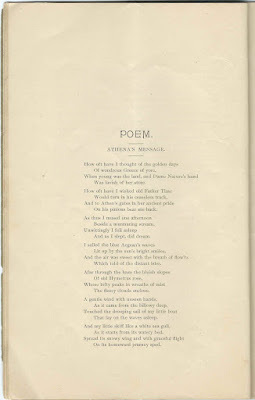 The booklet was printed by Smith and Sale of Portland, Maine. 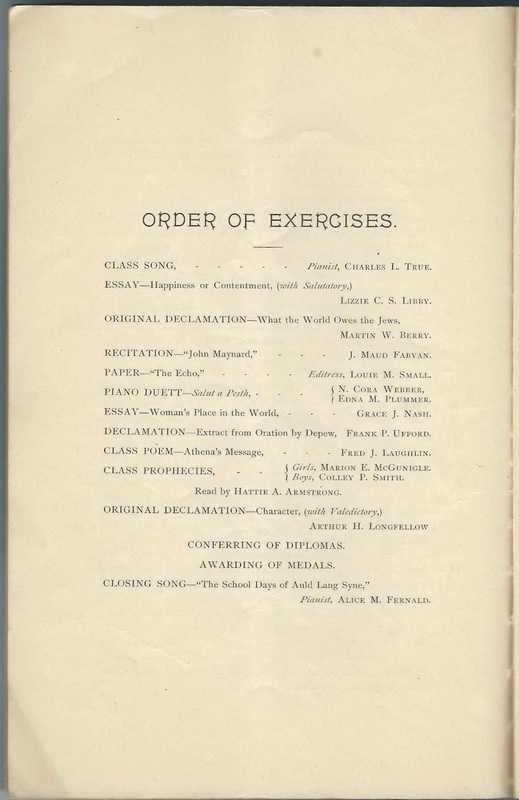 Order of Exercises, as shown below. 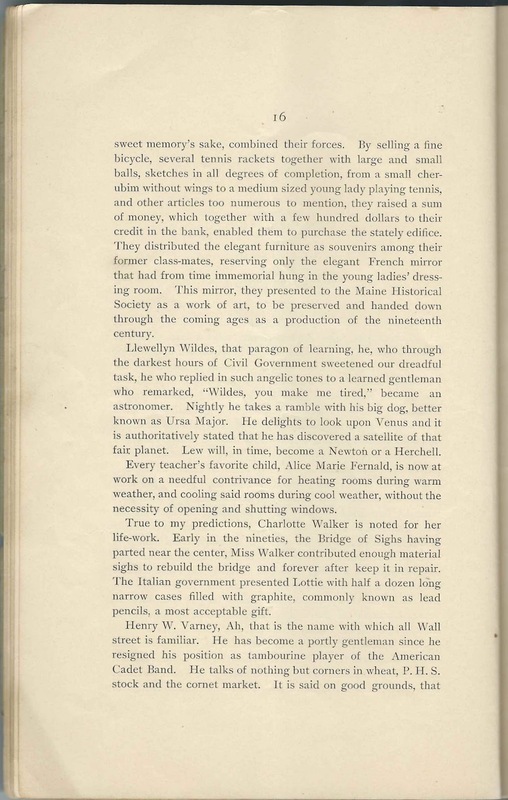 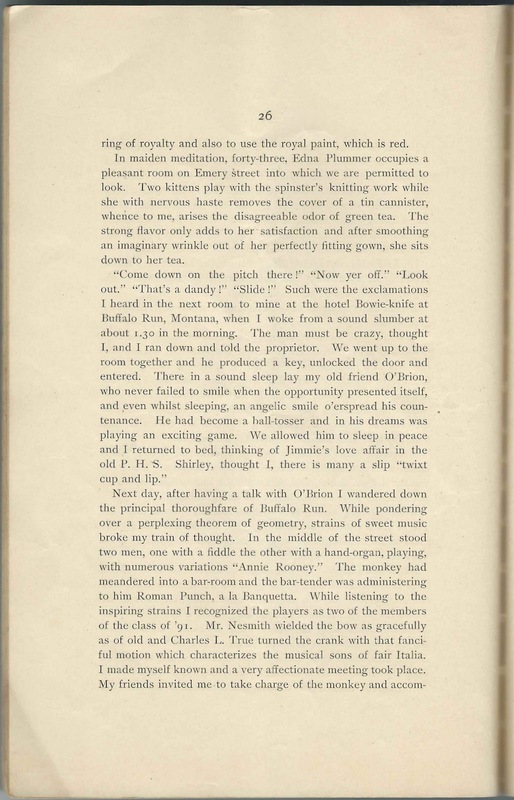 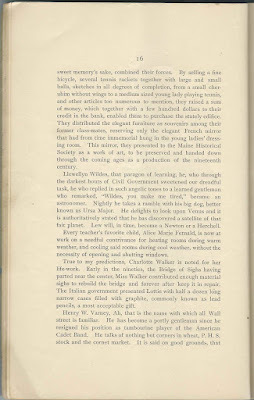 Below, the pages in order, minus the blank pages - click on any image to enlarge it.